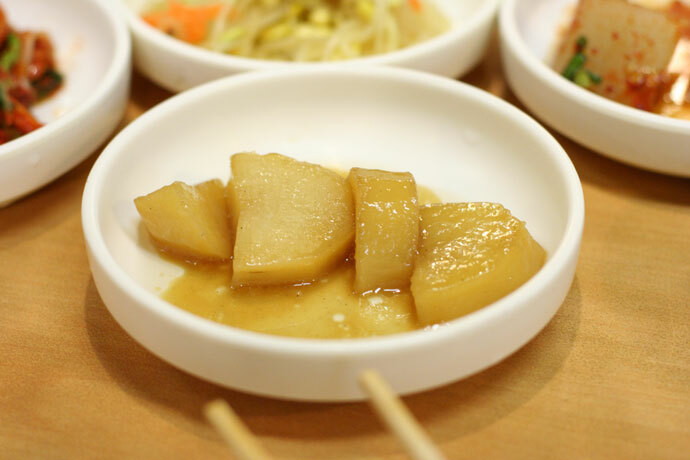 Seoul Duck Bae Korean Restaurant (map, 1031 Kingsway, Vancouver BC Canada, phone: 604-879-1515) – also known as Seoul Doogbaegi, is one of my favorite places to visit for reasonably priced, delicious traditional Korean food. 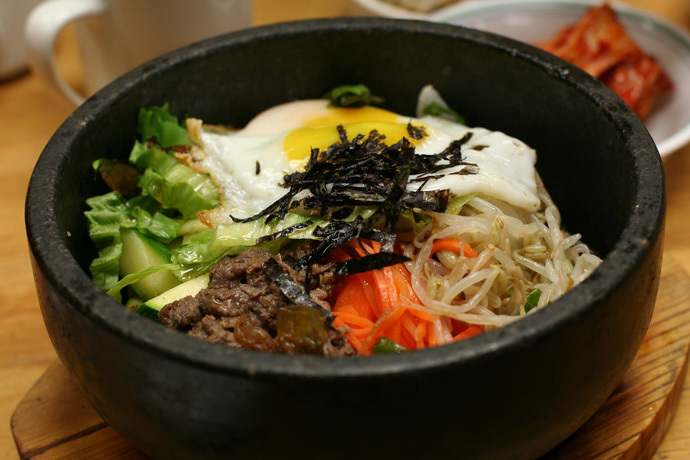 Bibimbap at Seoul Duck Bae Korean restaurant on Kingsway in Vancouver BC Canada. 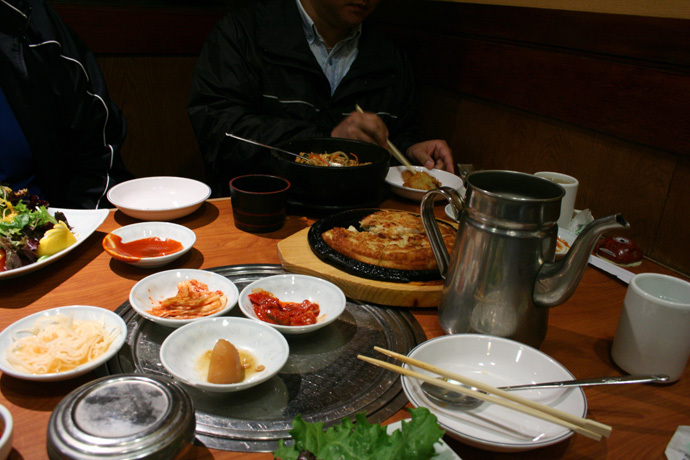 Photo gallery from Seoul Duck Bae Korean Restaurant. 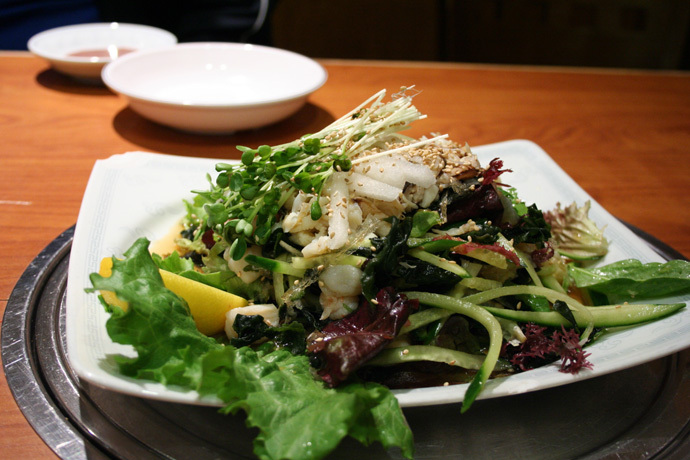 Madangcoul Korean Restaurant (map, 847 Denman Street, Vancouver, BC, 604-688-3585) is a family run Korean restaurant in the West End of downtown Vancouver that serves comforting, home style food. 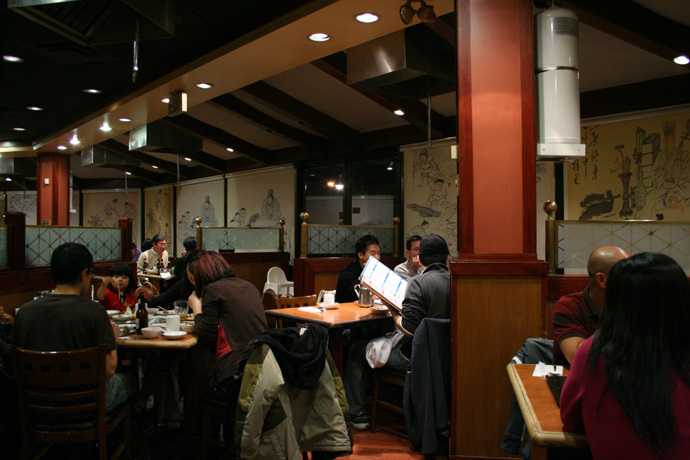 Visitors on yelp.ca write glowing reviews about Ma Dang Coul’s “truly homestyle cooking”, the “best kimchee in all of Vancouver”, and describe the restaurant and food as “inexpensive, tasty, warm and welcoming”. My friend who lives two blocks away goes there regularly, and I was really happy when he introduced me to Madangcoul. 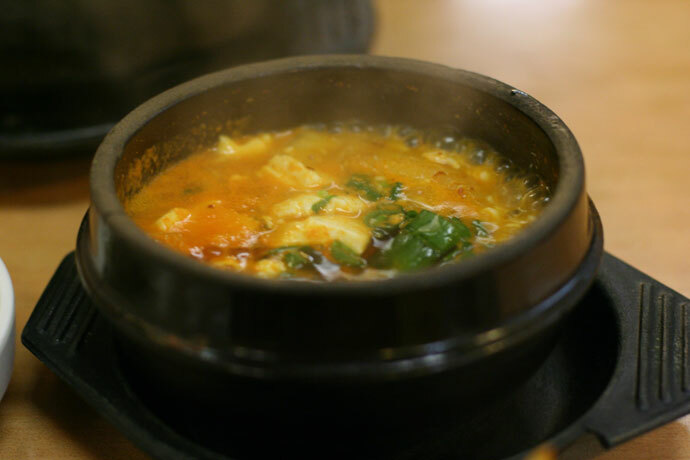 I ordered a combination meal of a Korean tofu soup (pictured below) and Bulgogi pork (also pictured below). It was served with all the usual side dishes – my favorite being the caramelised sweet potato (pictured below), the seaweed, and the kim-chee. The combo came to around $15 which was quite reasonable for the amount of food. I’ll definitely go back to enjoy a comforting meal at Ma Dang Coul when I’m in the area! 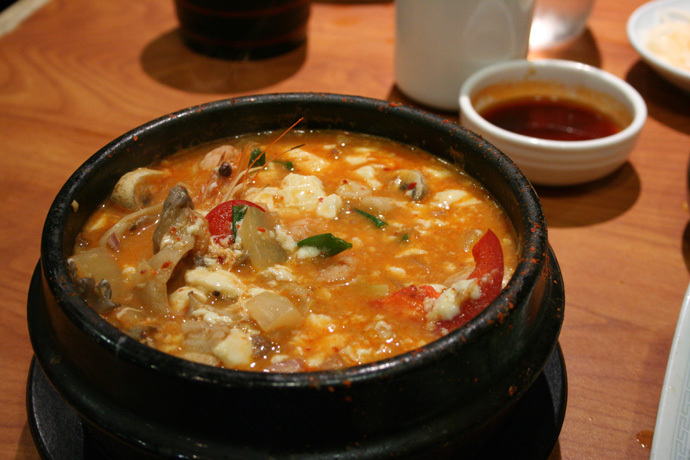 Korean tofu soup from Madangcoul Korean Restaurant in Vancouver, BC, Canada. 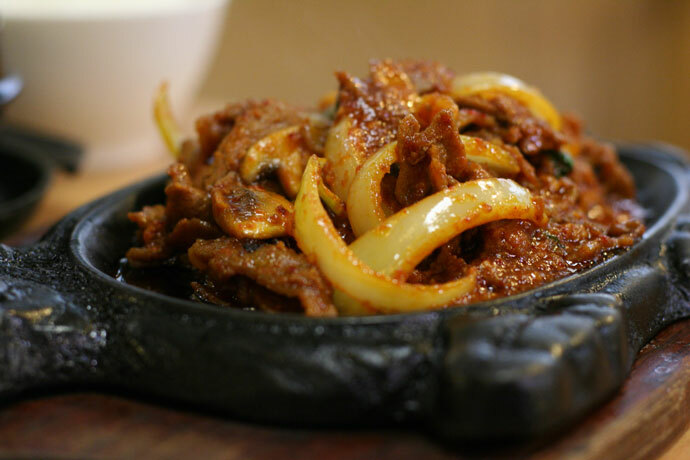 Bulgogi Pork from Madangcoul Korean Restaurant on Denman Street in Vancouver, BC, Canada. Korean condiments (caramelized sweet potatoes) and chopsticks from Madangcoul Korean Restaurant. View More Restaurants in the Korean category. 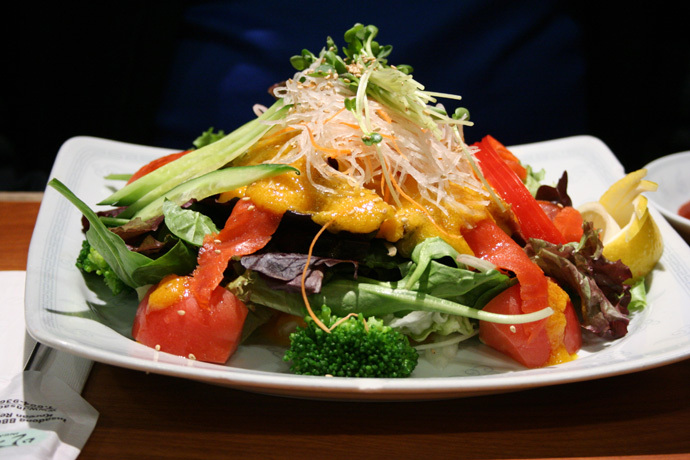 We hope you enjoy the great Korean restaurants on Dine Out Here Vancouver.